What age is good to start practising a sport? One of the most recurrent questions parents ask is about learning to identify the recommended age for sports in childhood. This is a relevant fact insofar as if bad decisions are made and sport is started at an inappropriate time in life, the consequences may be serious. Beyond what has been mentioned so far, it is very important to stress that physical activity is fundamental during all stages of people’s lives and that in this sense, rigidity is not the exception, but that one must learn to take the respective measures to obtain good results. It is important to highlight that it is through physical activity that the child will be able to develop his or her motor skills, flexibility, coordination, strength, muscular endurance and cardiorespiratory endurance. Therefore, if we do not work on this kind of issues, the consequences when we reach adulthood can be serious. The first two years of life – It is necessary to favour a game that is free, as well as movement. The most important thing at this point in his life is that the environment is monitored to avoid falls or possible accidents. Preschool – This is a time when the child knows how to accommodate and will not stop progressing in his or her different motor skills. It is a stage in which children will be able to jump, throw, pick up the ball, ride a tricycle, and so on. Here the game prevails. 4 to 7 years – Motor activity is developed, such as skill, coordination, balance and speed. There are also activities such as walking on one foot, playing ball, cycling, etc. 8 to 9 years old – They can do mini sports such as running, jumping, etc. 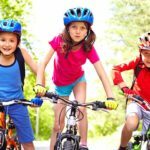 10 to 12 years – Specific motor skills such as strength, flexibility, endurance and strength are developed and the mastery of the body is enhanced, as well as a certain technique on it. 13 to 15 years – This is a crucial stage in a person’s life, as it is the development of puberty. It is a relevant moment, since it is a situation in which there is a great deal of physical activity as a result of motor maturity, but it can also happen that there is a abandonment of sport activity (it is necessary to pay attention to this). Previous Post« Previous: ¿Por qué contratar un experto en adiestramiento de perros?